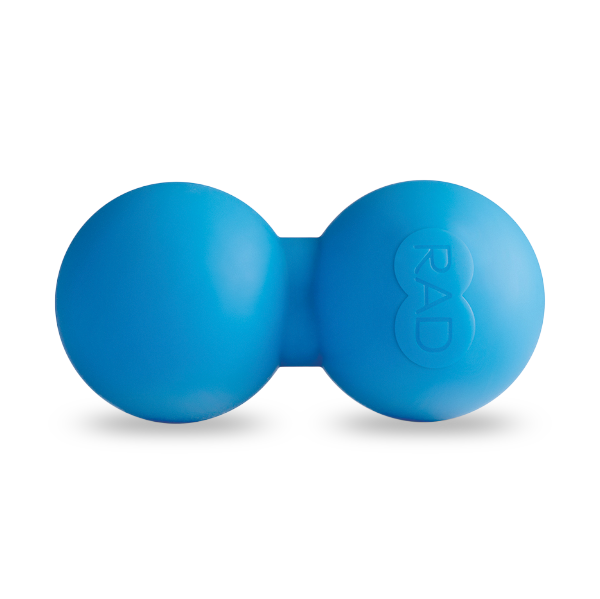 Get greater coverage with a larger version of the RAD Roller massage tool. Perform deep back massage that rejuvenates the spine with this larger version of the original RAD Roller, designed to be more suitable for athletes and individuals over six feet tall. In addition, the roller is optimal for use on the lumbar spine area, which is larger and has wider vertebrae than the thoracic spine. Like the original RAD Roller, it also provides soothing massage for calves, hip joints, IT bands, glutes, arms, feet, shoulders and the neck.